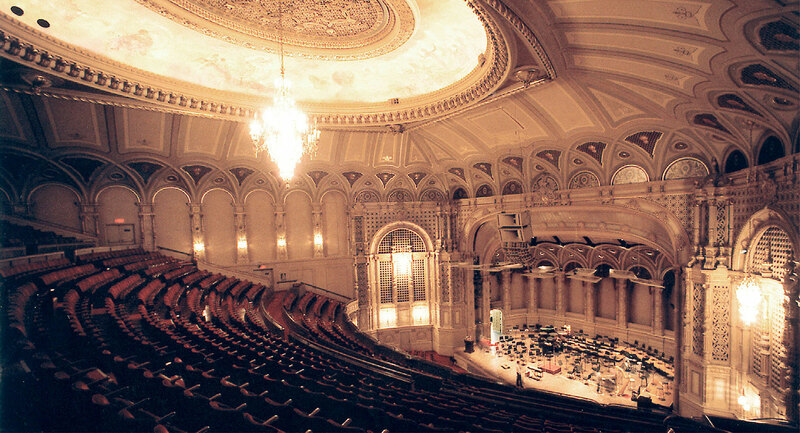 The original Vaudeville Theatre was renovated in the mid-1970’s to provide a new home for the Vancouver Symphony Orchestra. 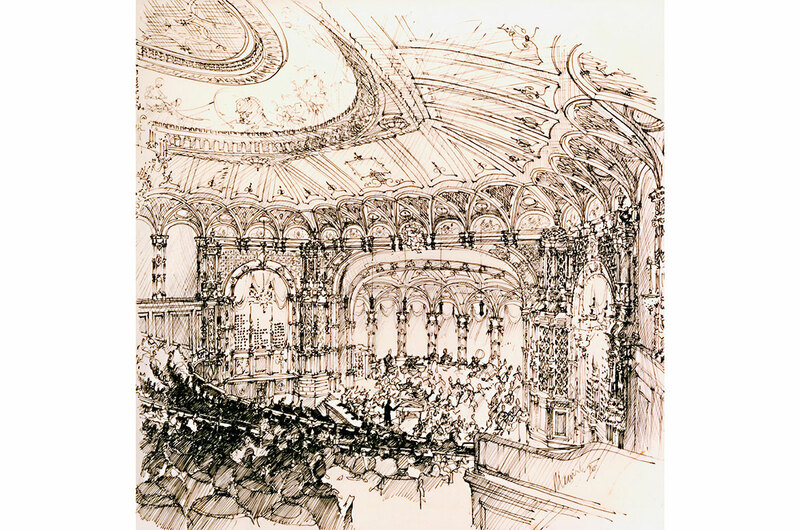 The work undertaken under the design direction of Paul Merrick sought to restore the delicate decoration and plaster motif and extend the original design into a new proscenium to house the orchestra. 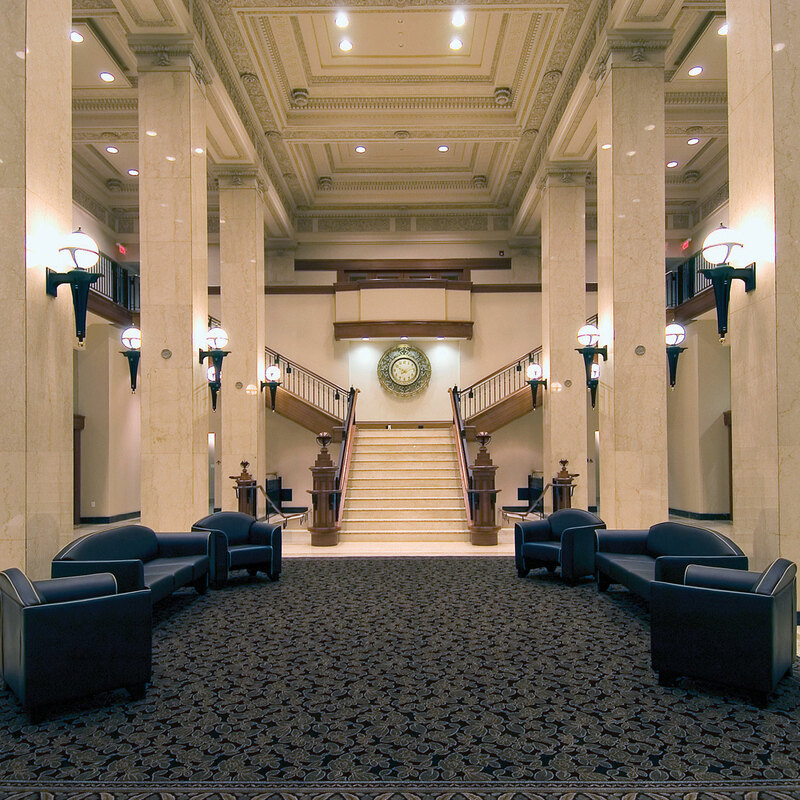 The work included an extensive upgrading to the seismic capability of the building and restoration of the foyer entry ways. 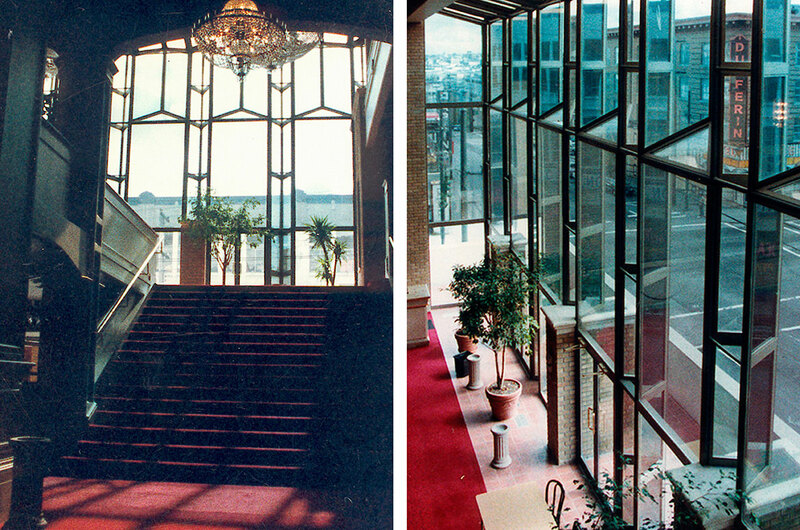 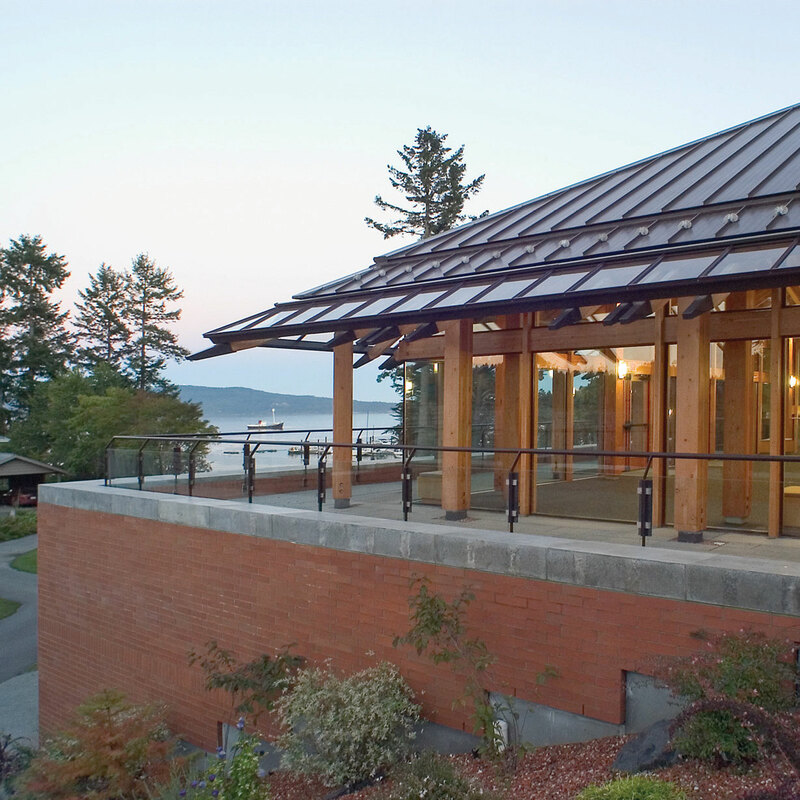 In 1981-82 the foyer addition was added to provide additional circulation and crush space. 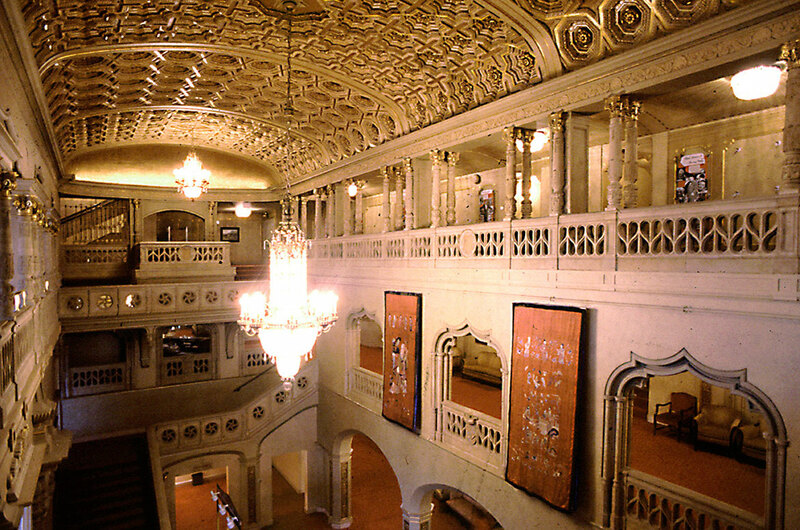 This intricate design integrated all the existing access levels within the old building with a series of interconnected balconies, stairways and entrance areas. 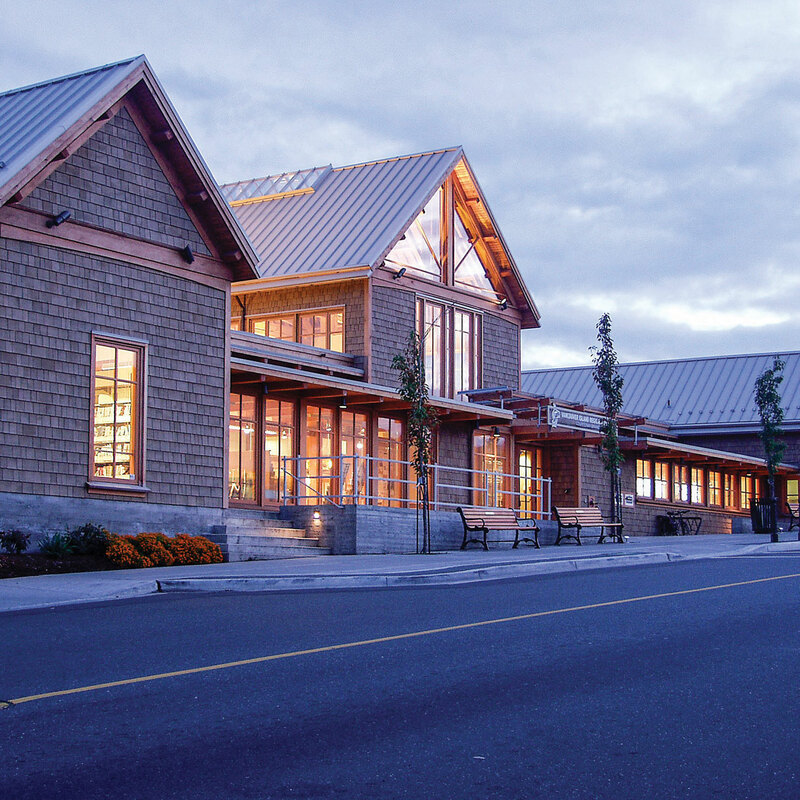 New washrooms were added and handicap access to all levels was provided. 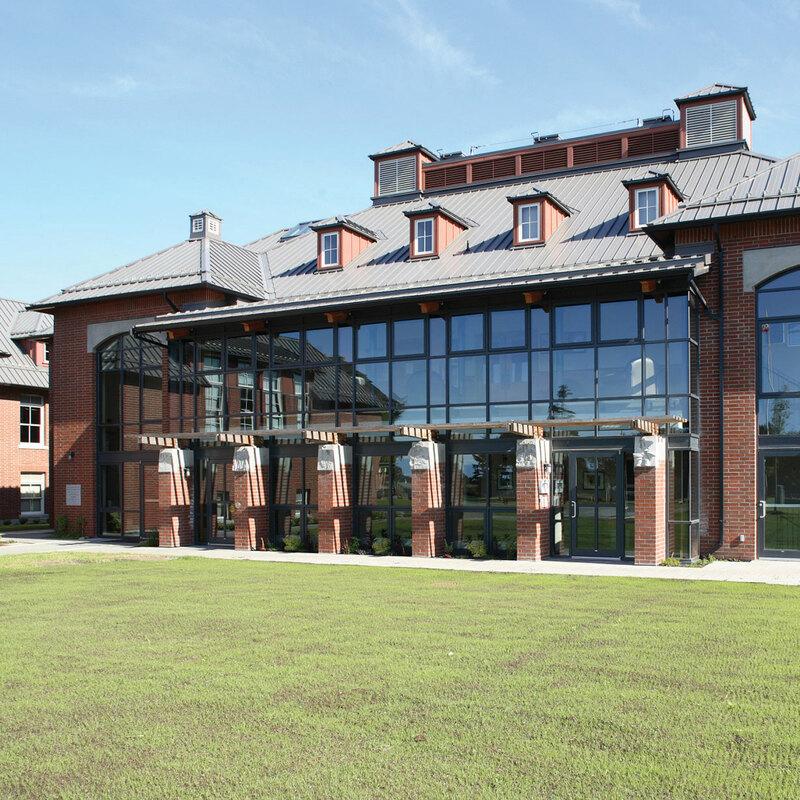 The structural design involved a complex rebuilding of the southern shear wall of the existing building to allow circulation and the visual penetrations required by the architectural design.